Celebrating Women in Construction Week, ABC of Metro Washington’s Women Building Washington Committee hosted the 2nd Annual SHEbuilds event in partnership with Rebuilding Together. 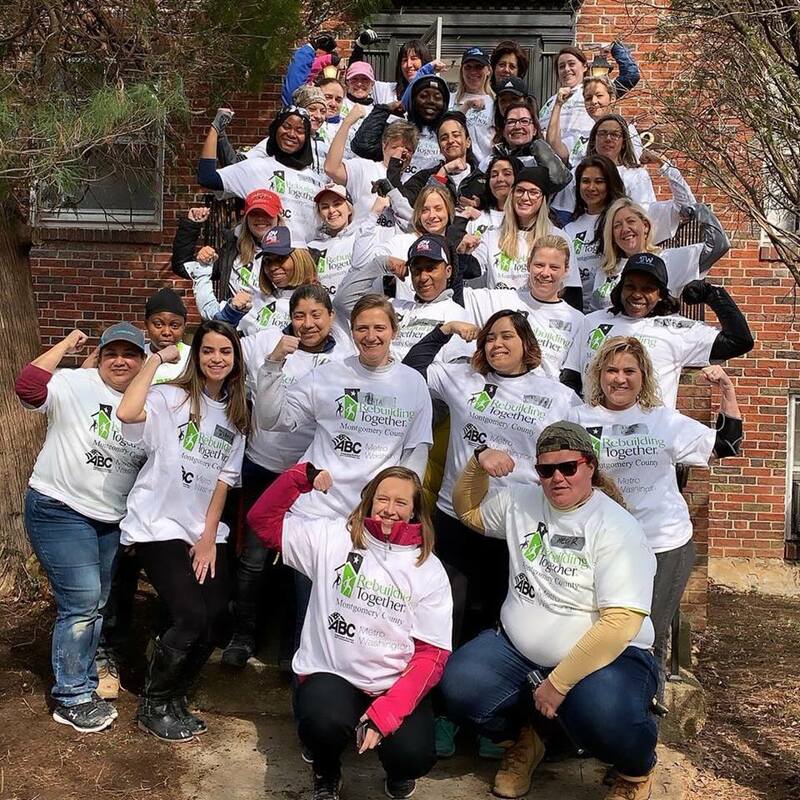 Raising more than $20,000 for the project, 40 women gathered in Takoma Park, MD, to help a woman in need with plumbing, painting, repairs and landscaping. Women are an essential part of the construction industry. They now account for 9.1 percent of the construction industry in the United States, according to the National Association of Women in Construction (NAWIC). As of Dec. 31, 2016, approximately 939,000 women were employed in various occupation sectors of the construction industry. That figure represents a significant rebound from the low of 802,000 women in the sector in 2012, a decline that started with the Great Recession of 2008. But it’s still down from the high a decade ago, when 1.131 million women worked in the construction industry in 2016. By comparison, there are 9.389 million men working construction. It’s clear more work needs to be done to encourage, promote, and retain women in construction. To this end ABC joined in celebrating NAWIC’s annual Women in Construction Week, March 3 through 9. Melody Padgett is one woman who has excelled in construction as a career. She offers some insights in what it means to be a woman in the construction industry today. Padgett has worked for 20 years in the construction industry. She currently serves as project manager, commercial for Harkins Builders, Inc., Columbia, Maryland. Construction is tangible. I enable an architectural design on paper to become something built, with color, texture and light that will be used for years. What does being a woman in construction mean to you? As a woman in construction, I bring another perspective to a project team. In some instances, I provide a greater level of detail. I communicate differently. I lead differently. Diverse perspectives and opinions on a project team provides greater options when planning for new construction or overcoming unforeseen challenges. How can you help educate young women that may be considering entering the industry or that don’t know about opportunities in the industry? In addition to visibly seeing women in this role, I would propose we use metaphors when introducing women to this industry. Build on something already familiar. For example, construction is like a science fair project. Both have a clearly defined purpose, a design to meet the requirements, materials budgeted and purchased, division of duties, and a way to measure against the goals to ensure they were met. Many women who plan a large party or raise children are using the same skills required to plan, schedule, lead, and control a project. If women saw that they are already running projects in their day-to-day lives and that these skills are transferrable to the construction industry, we could encourage more women to join in our ranks.